Two Upcoming 10k Free Men shows before he heads off to show Americans what's up down under! So Many bands one night, every genre ever. April 23rd, Doors 7:30pm, 10k not on till 1:20am, $15 @ Tone, Sydney. 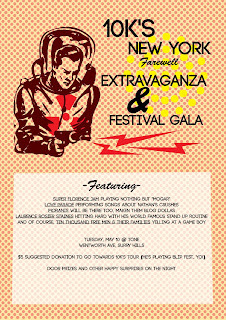 • super FLORENCE jam playing nothing but "MOGAR"
May 10th, 8pm, $5 donation entry, Tone, Sydney.